I have a mobile app called DriveSafe. I am participating in Apps World Germany. I want to have brochure designed for my app. 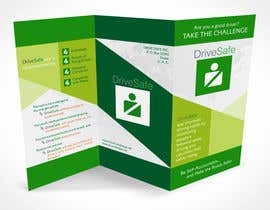 Details can be found on my website www.drivesafeapp.net. I need a creative design. people with copy paste designs and templates are suggested not to apply. Please comment on entry #5. I am available today to make design and content changes needed. I can supply you with the original InDesign file by tomorrow, once I get some of the original photos and logo from your website. Thank you for your consideration. What size and style (bifold/trifold/single side) you want for this brochure?